One of the last weekends of the Mills Mansion season (not including the holiday season that reopens after Thanksgiving) features a special event for “Downton Abbey” enthusiasts—if you are you are! 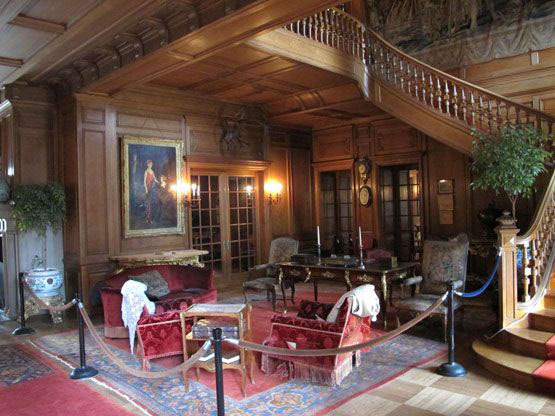 Saturday, October 17th, at 1PM, guests can tour (some of) the 65 room Beaux Art Mansion, led by a period-dressed tour guide who will expose the servants’ lives and the history of the Mills family’s marriage link to British aristocracy not unlike Downton’s Dame Cora. The whole property was refurbished and expanded in 1896 by reknown architects, McKim Mead and White. Located in the Straasburg (NY) State Historic Site, in the Mills Norrie State Park off the Taconic Parkway, it overlooks the Hudson River. Seniors & Students $ 8. Friends of Mills $ 5. So book us both up and have a great weekend at Hilltop House Bed and Breakfast!